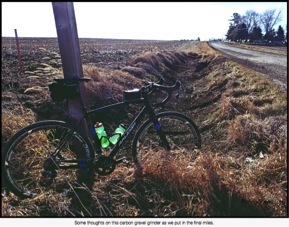 Riding Gravel wrapped up its three-part review series on the Roker LTD with an article that focused on Guitar Ted’s overall impression of the bike. The Roker was commended for keeping the geometry close to the Tamland, which is similar to a classic road bike, and using a high performance carbon fiber frame and fork that allows the bike to perform on both the cyclocross course and road rides. Editor’s Quote: “The Roker LTD is specifically a pioneer in the aspects of its having a lightweight, high performance carbon fiber frame and fork which can swallow up to 42mm tires and features like three water bottle mounts and fender mounts for inclement weather."